The cast-iron stirrup, tentatively identified as Korean on stylistic grounds, shows traces of lacquering. The loop for threading straps is composed of a pair of dragon heads which face away from each other. 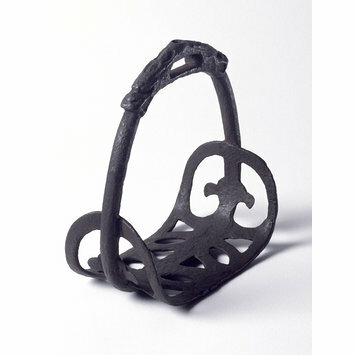 The stirrup loop is formed by two dragon heads, separated by the threading space and facing away from each other. 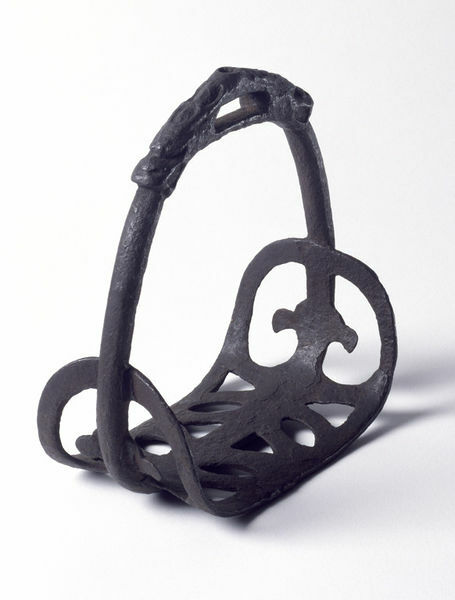 The Korean provenance of the stirrup has been questioned.